Prepare for the worst! Being Forewarned is being forearmed. Always be prepared! Wow! 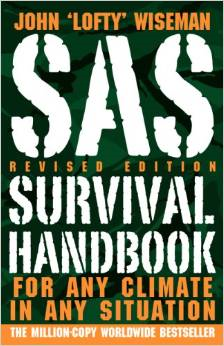 This book astonished me: from the honesty to its intensity, this is an in-depth look at how to survive any situation in any climate. Though, I don't think I could kill my own game to eat; I'd probably revert to being a vegan, the information from how to trap to how to prep it is in there. And should I need to eat weeds and nuts, there are full color photos on the safe ones to eat and those to avoid, including those dangerous bugs and reptiles to avoid. 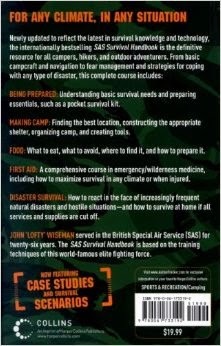 He provides you with information on how to put together a survival kit and a survival pouch. With these few items one puts together, one can surive anywhere, anytime. It is a thick book and I'm still working my way through it, but I highly recommend it for reference. I sincerely hope I nor anyone else never needs to rely on it, but in these days of the increasing frequency and strength of natural and man-made disasters, one never knows. 'Some secrets should remain that way. ".